In January I posted a review of the Collection 2000 Lasting Perfection concealer, which I was extremely happy with. It is now my no.1 concealer which I use everyday, so I thought I would also try out the foundation from the same collection. 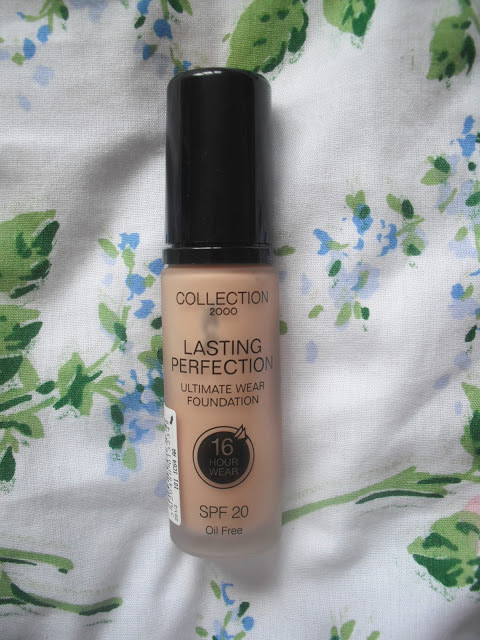 I saw the Collection 2000 Lasting Perfection 16 Hour foundation on special offer in Wilko’s for only £3.99 so I bought it; the original price is £5.99. There is also a powder foundation in the range which I hope to try out next! I like the packaging of this foundation, its in a frosted glass effect bottle with a black cap and pump. The shade I chose is natural beige which suits my skin perfectly. This foundation claims to last for up to 16 hours, and is also oil free and contains SPF 20. 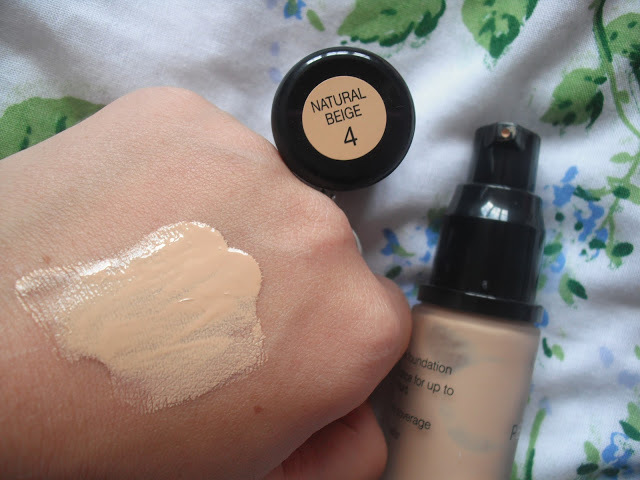 The formula of the foundation is quite creamy, but not very thick compared to my Rimmel. I have dry skin, so I think I might have preferred it if it was oily, as it made my dry patches look a bit flakey, but I’m sure it’s great on people with oily skin. The foundation is very easy to smooth on and blend in, but on me it began to look a bit ‘caked on’ because of my dry skin. When I applied powder on top it highlighted my dry skin even more, unfortunately. I applied my make up at 8am and wiped my make up off at 11pm, and after those 15 hours my foundation was not noticeable. I think it lasted up to about 9 hours, but unfortunately didn’t meet its 16 hour long lasting claim for me. This may be because I didn’t apply a lot due to it making my skin look dry. Overall I feel that this foundation will probably work wonders on girls with oily or combination skin, but I wouldn’t recommend it for dry skin as it is oil free. For £3.99 it’s a great price, and it comes in 6 shades. 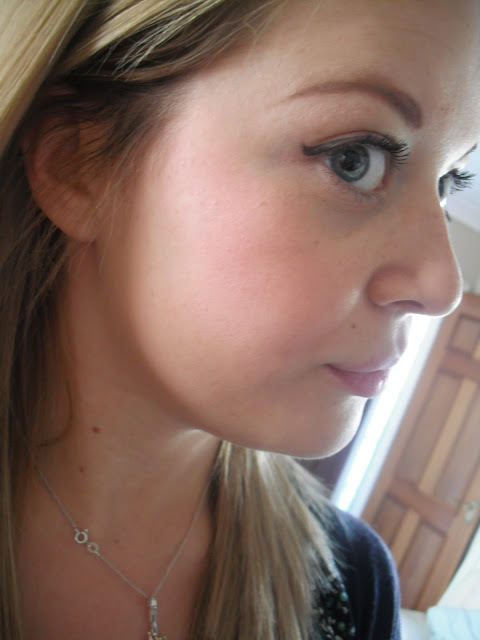 I would still highly recommend the Lasting Perfection concealer as it is one of my favourite beauty products!